Eric is a repeat customer at Signal, something we are very proud of! Eric had a vision of a classic road bike. Classic in the fact that he requested using a 1" steerer in the design. In the age of super oversize tubing and carbon bikes with huge head tubes, the simple lines and tubing dimensions of this bike really stand out. Kinda like you look at it and say, "Wait, what? What is going on here? Crazy!" 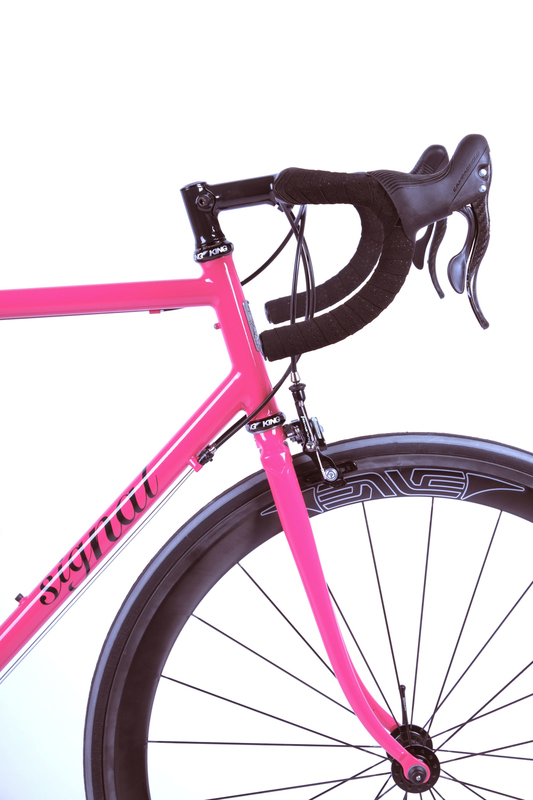 Paired up with Campy and some sweet Enve wheels this hot pink machine is one part 80's steel bike homage and one part modern road racer. Can't wait to see photos of this bike on the roads around Chicago!